Completely Free Subscription Boxes! This is a full list of FREE Subscription Boxes and Free Trials. 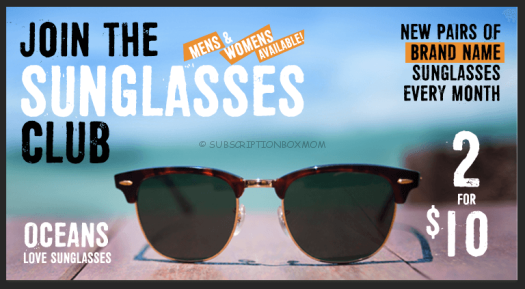 New Free Subscription Boxes are first, followed by Completely Free Subscription Boxes 2019, First Month Free Subscription Boxes, and other Cheap Subscription Boxes. Check out all the free subscription boxes for beauty, food, clothing, household, jewelry and more. Be sure to read the fine print, this list contains free trial boxes, first month free boxes, and the best cheap subscription boxes. If you want more cheap subscription boxes, see my Subscription Box Coupons page. Disclosure: This post contains affiliate/referral links. Get your First Box Free just pay shipping! You will get a box of 7 or more snacks, just pay $4.99 shipping. Dia&Co Get your first styling free waved ($20.00 value), so you can try your first box FREE. Dia&Co is an online personal styling service for women sizes 14 and up. We take the time to get to know you, then send hand-selected clothing and accessories chosen to match your personal style and fit your body beautifully. Disney Movie Club Get 4 movies for $1.00 . for girls ages 3-14 (sizes 4-14). You can try this service FREE and get free shipping. If you chose to make a purchase, you will get 30% off. Use this link to grab this deal. 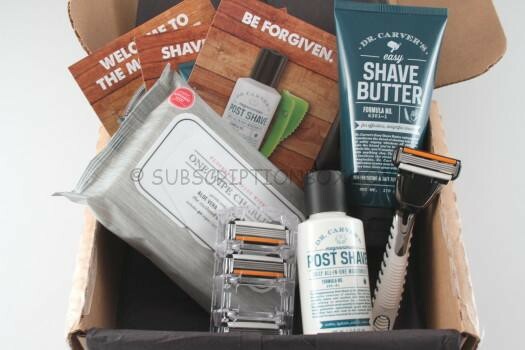 A subscription box you can try completely free, plus get $21 in FREE CREDIT. Gwynnie Bee Get your 1st month COMPLETELY FREE, just use this link. A Kids Clothing Subscription You can Try Totally FREE. Nadine West – Try Totally Free. Nadine West is a clothing subscription. You fill out a profile then get shipped clothing to try. If you like the pieces, keep them, or mail them back if don't like them. The only fee to try it is the shipping fee, but use the code NADINE to get your shipping FREE in your 1st box. Epic – First Month Free! Get 30 Days free from Epic. Your child can have a library of books at their fingertips. Mac & Mia now has a way to try the subscription Free! Use this link and get a $20 credit to use toward your clothing purchases. The styling fee is $20, so this is like trying the box free! Note: If you buy 2 or more items, you will get your styling fee back too! ReadingIQ Get your 1st month FREE. The Next Big Idea Club Get your 1st two weeks FREE. Get a 2 week free trial from the Next Big Idea Club, including access to the member's only material. Beachbody On Demand Try 14 days Free of On Demand workouts. Over 600 world class workouts, just use this link. Honest Company Get a Free diapers bundle, health and wellness bundle AND essentials bundle. Just pay $5.95 shipping FOR ALL THREE. toucanBox (United Kingdom) Sign up to toucanBox today and you’ll get a FREE craft box (just £1.95 P&P) to get started . Book of the Month: Get a free book with your first month of BOTM with code APRILSHOWERS. Scentbox: Get a 30 day supply of designer fragrance for only $9.72, just use this link. Blue Apron: Get 5 Free Meals with your 1st two orders. (BUY 1 GET 1 FREE) Try the World (Food) This month, start your journey with a World Box and get a free box, plus use the coupon SBMOM15 to save 15%. Level Up T Shirt Subscription. Use the code SAVE3 to save $3.00 on your 1st shipment. Level Up sends one shirt for $8.99/month. You will pay $5.99 with coupon. Level Up Socks: (regular $9.99/month) Get two pairs of geeky socks for just $6.99 with the code SAVE3. Try the World: Get your 1st snack box for under $5.00 when you use this link and the code SNACKNOW. Grab a year subscription and this box is Free! Monthly Coloring Club: For as low as $4.00/month, you can get a digital download. PetPlate Get a trial box as low as $20. Use this link plus the code BOXMOM15 to get an extra 15% off. You can skip or cancel at any time and they have a money back guarantee. Winc: Winc is a wine subscription that sends 3-4 bottles/month. Get $20 off your first order with this link. Choose four bottles and get Free Shipping, making each bottle only $8.00. Don't forget, you can pick your own bottles! Kiwi Crate, Koala Crate, Tinker Crate, Doodle Crate You can save 40% on your 1st box, just use this link. 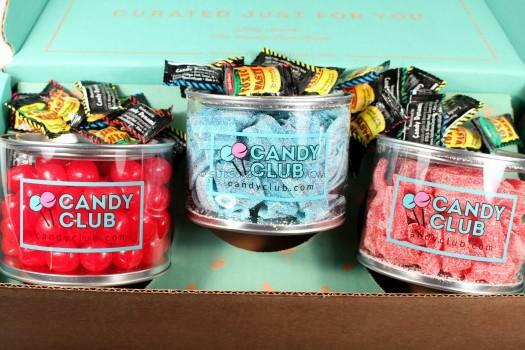 Candy Club Get $15 off with this link. Bulu Box Get 3 Months of Bulu Box for $20, just use this link. You can also use the code BULUGAN751 to save 50% on a monthly, 3, 6 or 12 month subscription. Hello Fresh: Get $40.00 off your first order. That's three meals for two people for $29.00 total! Just use the code RW7DMF. Home Chef: Get $30.00 off your 1st box, that's getting 3 meals FREE. Use this link to get this offer. You can see my reviews here. Home Chef is a meal subscription box and each week has 10 meal options. There is a ABCmouse.com® Early Learning Academy Free Trial and 50% off annual subscription sale. You can save 50% Off ABCMouse.com Annual Subscriptions with this link. You will pay $45.00 for an entire year, a 50% savings! Lip Monthly is a lip product subscription, that sends only lip products. Each month you get various Lip Gloss, lipstick, lip balm or lip stains. Lip Monthly is also super affordable at only $10.00/month. Lip Monthly ships all over the world, so this is an affordable subscription for everyone. If you want to grab the Deluxe box, Try Love with Food's Deluxe Box and get 50% off your 1st box with the code DELUXE10 . Mini Mystery Box of Awesome $9.99 for over $10.00 worth of products. Walmart Baby Box: Pay $5.00 for shipping and get a box of Baby stuff FREE. You will get a box every season, and it for kids born 2014 to the present. 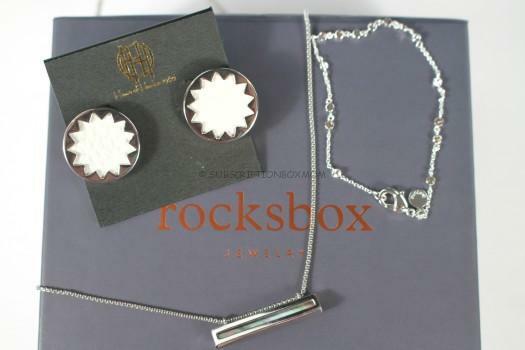 Do you know a box not listed on in my free subscription boxes list? Let me know what it is, and I will add it!